Cab has steel roof, acoustical headliner, front windshield glass, electric wiper, supporting corner posts, steel frame doors with clear poly vinyl panels, rear safety glass and steel panel. Cab is not ROPS certified, but sits in front of the existing, un-modified factory ROPS. 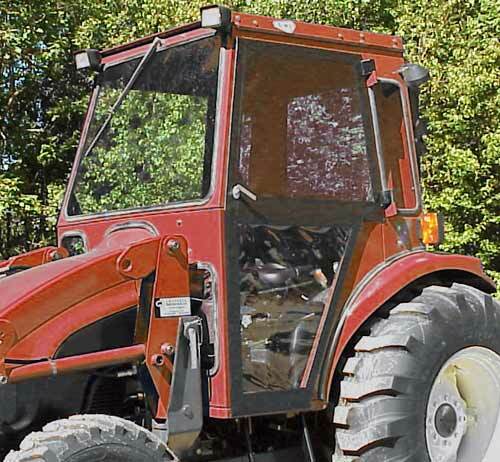 (Does not fit Farmall Series). NOTE: This cab fits tractors with a factory loader.